Doral is a fast growing community in the Miami/Dade area. The Doral real estate market offers price points for almost everyone. Homebuyers have their choice of single family homes, condos, and multi-family buildings to call home. 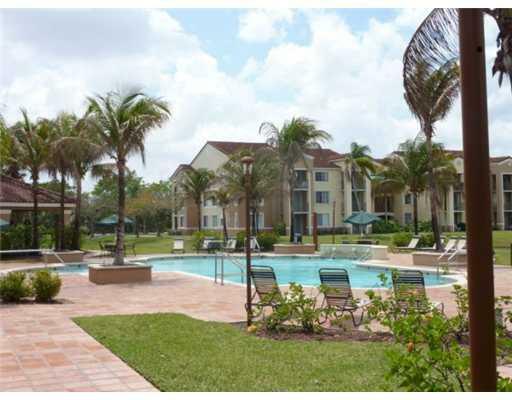 Doral also has several upscale gated communities which offer residents privacy, safety and many amenities. 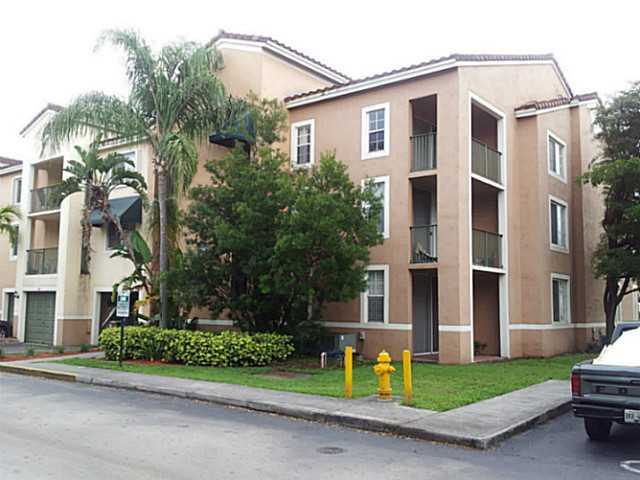 The most affordable real estate in Doral is gated community of The Enclave. 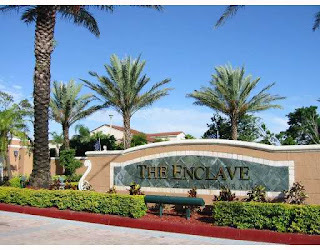 Built in 1998, The Enclave is located in central Doral off of NW 107th Avenue. The condo units start at $120,000 and The Enclave offers residents the amenities of a much more expensive development. 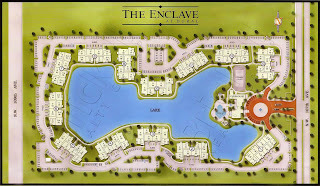 Some of the amenities residents can enjoy at The Enclave at Doral include a spacious clubhouse, a pool, tennis courts, air conditioned racquet ball court, a fitness room, a tot play center, spa/hot tub, and all of the buildings are lake side. There is also a spectacular fountain in the central lake. 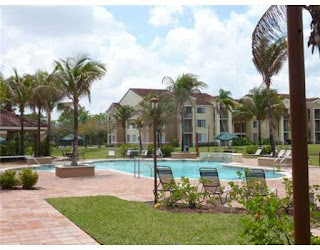 Residents can enjoy the beautiful Florida climate on lakeside walkway and jogging trail. There are 13 two and three story buildings, seven models to choose from, and a total of 258 condo units. Recent listings in The Enclave include a 3 bedroom, 2 bathroom unit listed for $276,000. Another 2 bedroom, 2 bathroom listed for $200,000. One bedroom, one bath condo units at The Enclave have sold for as little as $94,000. All condos have central air conditioning, an alarm system, a private patio/balcony, washer and dryer, and a fully equipped kitchen. The kitchen includes an electric range, refrigerator, dishwasher, and a stainless steel double bowl sink. The Florida Turnpike, and the Dolphin and Palmetto Expressways are only minutes away making The Enclave an easy commute to and from Miami. Only two miles away are both the Dolphin Mall and International Mall. Several golf courses are just a short trip from The Enclave offering residents world class golfing. Courses include the world famous Doral Golf Resort and Spa and Costa del Sol Golf Course. The Doral Golf Resort and Spa was recently purchased by Donald Trump and has been completely renovated and updated. Doral has been listed by Forbes Magazine as one of the top 100 best places to live. Its schools are rated above the state average, and the job market if plentiful. Doral has one of the lowest unemployment rates in the state of Florida. The City Council recently voted once again not to raise the city taxes. Since its incorporation in 2003, Doral has never raised the city taxes. 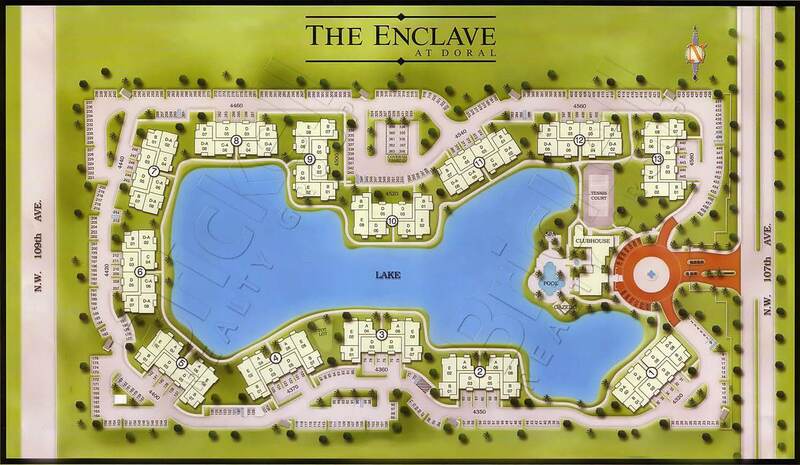 Homebuyers who are looking for luxury living at an affordable price need to look no further than The Enclave at Doral. Hi! Great post. The houses are so beautiful. Thank you for sharing.